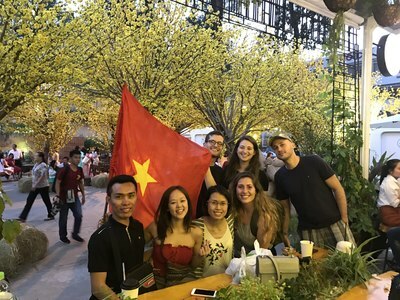 - Discover the real local lifestyle, culture, street food & drinks.etc.in Ho Chi Minh City by joining our weekly city tour. - Explore the beautiful spots of surrounding provinces - great way to see the nature mother's beauty, suburban daily activities, enjoy tasty foods - awesome tropical fruits, and learn the country history during suburban monthly tour. Complementary bunk bed in well equipped house with strong Wifi, separated working and area, washing machine, kitchen, as well as basement for your vehicle. - Teach English speaking skills, interact or participate in activities, game, share your culture, other skills and expertise such as playing music, dancing, cooking ..etc . - The expecting interaction is 3 hours per day and 5 days per week. You are welcomed to stay one month and above!